Kobar (Palestinian Territories) (AFP) - Israel is to build hundreds of new homes in a settlement in the occupied West Bank where a Palestinian stabbed three Israelis, one fatally, Defence Minister Avigdor Lieberman said Friday. The announcement came as two Palestinians including a child were shot in the head by Israeli soldiers in separate incidents in the southern Gaza Strip, the Hamas-run territory's health ministry said, the latest deaths in the long-running conflict. "The best answer to terrorism is the expansion of settlements," Lieberman wrote on Twitter, announcing 400 new housing units in the Adam settlement north of Jerusalem a day after the deadly stabbing. Israel rejects the widely held view that settlement expansion is one of the greatest obstacles to peace with the Palestinians, while attacks against Israelis in the West Bank are supported by many Palestinians as pushing back against settlement growth. The teenage assailant sneaked into Adam Thursday evening by climbing a fence, Israeli media reported. He stabbed three people seemingly at random before being shot dead, the army said, naming the dead Israeli as Yotam Ovadia, 31. Israeli media said he had two young children. The attacker was later identified by official Palestinian media as Mohammed Dar Youssef, 17, from the village of Kobar. The army said Friday it had raided the village, questioned a number of his family members and suspended their work permits. 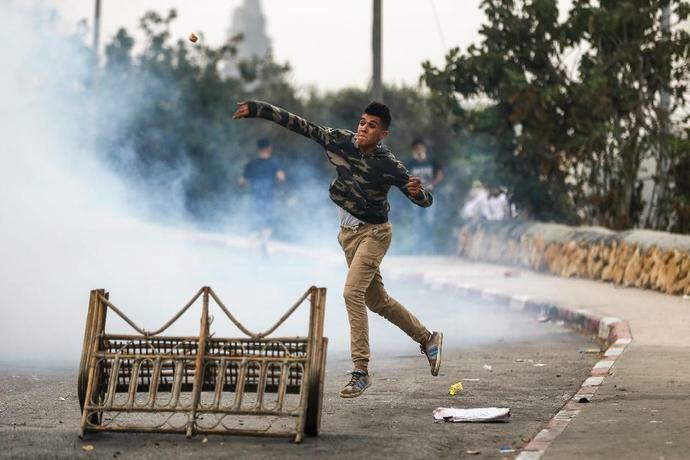 During the raid Friday morning, clashes broke out between young Palestinians and soldiers firing tear gas. "The rioters hurled large rocks and firebombs and rolled burning tyres at (Israeli) troops, who responded with riot dispersal means," an army statement said. The clashes were over by mid-morning Friday, an AFP photographer said, though the army had established a checkpoint at the edge of the village. Official Palestinian news agency Wafa said three people were arrested. The army added it was "reinforcing the defence" of Adam and other settlements. US President Donald Trump's special envoy Jason Greenblatt called on Palestinian president Mahmud Abbas, whose Fatah movement leads the government in the West Bank, to condemn the attack. "Yet another barbaric attack tonight. When will President Abbas and Palestinian leaders condemn the violence?" he wrote on Twitter. There was no response from Abbas' government, which has cut ties with the Trump administration over its stance on Israel. "Terror must be condemned by all," the United Nations envoy for the Middle East peace process, Nickolay Mladenov, wrote on his Twitter account. "Such horrible acts serve only those who stand in the way of peace." All Israeli settlement construction in the occupied West Bank is considered illegal by the international community. Lone Palestinian attackers have carried out multiple deadly stabbings and car-rammings against Israelis in recent years in the West Bank, Jerusalem and elsewhere. 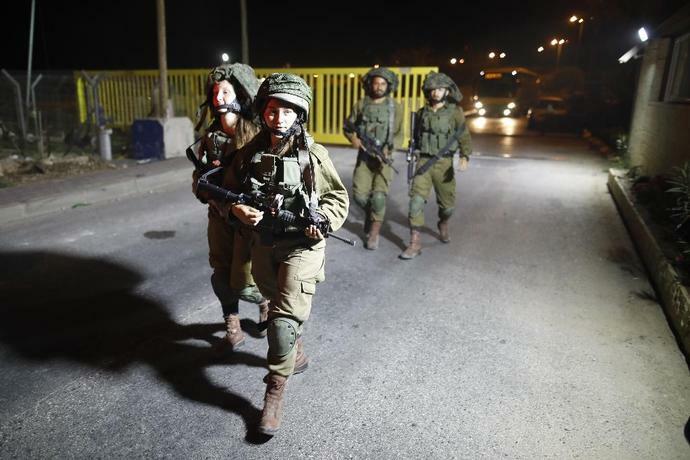 The West Bank attack came after a period of relative calm. The last such assault in a West Bank settlement was in April, when a Palestinian tried to stab an Israeli with a screwdriver near a petrol station in an industrial area connected to the Maale Adumim settlement east of Jerusalem. In Hamas-ruled Gaza, however, there has been recurrent violence between the Israeli army and Palestinian protesters in which at least 156 Palestinians have been killed in border protests since late March. One of the Palestinians shot dead on Friday was 12-year-old Majde al Satari, hit during border confrontations east of Rafah, the Gaza health ministry reported, correcting a previous statement which gave his age as 14. Earlier the ministry also reported the killing of Ghazi Abu Mustafa, 43, and said he was shot near the frontier fence, east of Khan Yunis. 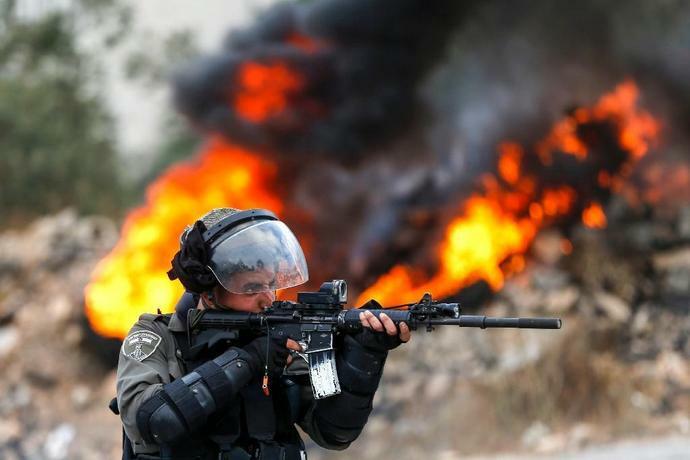 The Israeli military did not comment directly on the deaths but said about 7,000 Palestinian "rioters" threw rocks and rolled burning tyres at soldiers, and at the fence itself, at several locations along the border. "Troops are responding with riot dispersal means and firing in accordance with the rules of engagement," an English-language statement said, without elaborating. Hamas pledged revenge after Israeli air and artillery strikes on the coastal enclave killed a number of its members in recent weeks. In a statement late Thursday, it praised the "courageous operation" in the Adam settlement without claiming responsibility for it. "The West Bank is ready and able to avenge the blood of the martyrs."